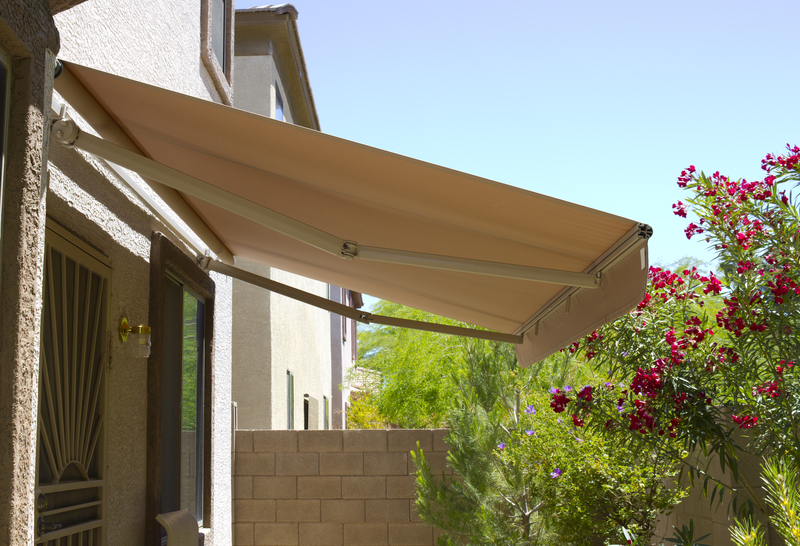 Awnings are an awesome way of creating and establishing boundaries for living areas in the outdoors. You can place one over a deck, chairs and tables or even an entire patio area. Other people even install the awnings over a portion of the swimming pool so as to offer shade to those who want to run away from the rays of the sun. At the push of a button, a motorized awning can be retracted, helping the homeowner with possibilities that are limitless. The awnings are a great way to provide good protection against the damage of the sun by shielding outdoor furniture from the direct sun rays. This reduces the chances of fading or discolouration. For certain plants, they need light conditions for them to grow. The awnings can be used to protect those plants that love to grow in shades from the harsh sun rays. They do this by filtering the sun for the plants that normally rely on sunlight that’s not direct to them. Such may also be placed over a permanent structure garden or over a patio container garden. Some components of the garden often look much better when they are partially shielded from the sun than when they are fully exposed to the sun. Such garden components can give the best they’ve got in terms of appearance when they are shielded under awnings. It’s even better if the awning is retractable so that they can only be rolled over when they offer the best results and can be rolled away whenever they’re not needed. Sometimes you may need to have your garden protected from the direct rainfall for various reasons. The direct rain can even damage your garden. Therefore, by placing an awning over it, you’ll be able to protect your garden plants from the direct rain showers thereby, making them grow more beautifully. When you’d love to enjoy your barbecues and suddenly it starts raining, you may have to prematurely end your barbecue. However, with awnings, you can still get to enjoy your barbecue without any interruptions even when it’s raining cats and dogs. This is another way that you can change your garden’s feel using awnings. Awnings are a great aspect of any garden. Use them over yours to reap all the above benefits and make the best out of your garden.